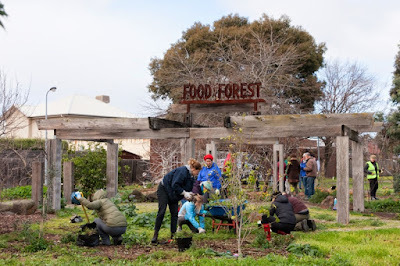 Next Sunday 26th June from 11am-3pm down at the West Brunswick Community Garden & Food Forest we've got a bit of a thing going on and we'd love you to come along and get involved. Learn about pruning (Karen Sutherland from Edible Eden Design will be helping us out!! ), planting and composting. Put your new (or rusty or refreshed) skills to use as we prune the trees in the food forest and plant out the area near our pistachio trees with lots of edibles. By the time you leave you'll know something you didn't know before, be warmed up, know some great people see a big difference in the food forest and help make it ready for the coming Spring.